I hate to ship my pieces. Hate it! I’d rather sand by hand – heck, by cabinet scraper. I hate trying to find a box the right size, correct packing material, wrapping the item – ugh! Shipping is part of this game of being a professional woodworker, if you are making pieces to be sent all over the United States. We’re lucky that we have such a large audience; 20 years ago, before e-commerce became mainstream, you’d either be doing local only work, or taking out ads in national print media. Today, we can literally have a customer anywhere there is an internet connection, a shipping address, and a buyer. We’re blessed in that regard. Shipping is a devil we have to deal with. 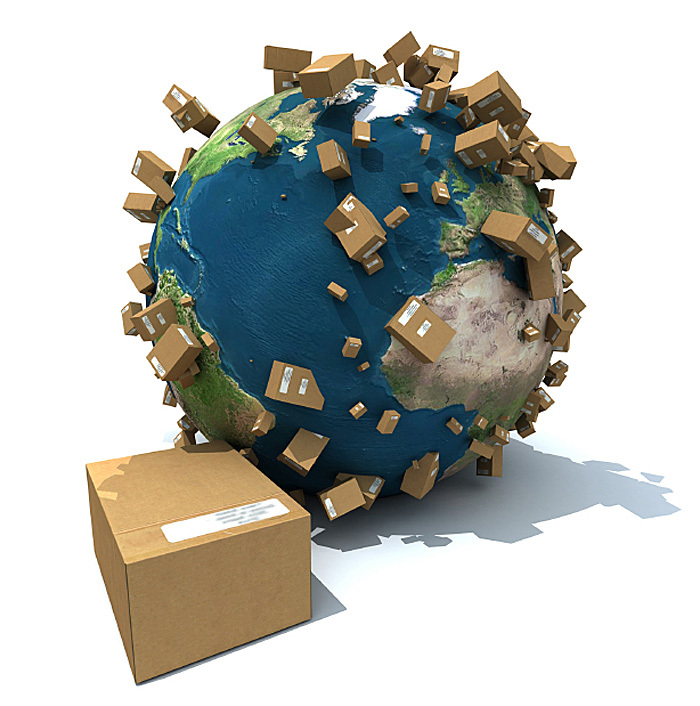 However, not only is there the physical issue of shipping – the boxing up, the shipper, and so on – but the cost associated with shipping and the potential buyer. Maybe you never though about it that much, but shipping cost can make or break a sale. Let’s role play here a little bit. Let’s say you are interested in buying the exact same table from either guy A or guy B. Guy A’s price for the table is $900, and his shipping charge is $100. Guy B’s price is $750 for the table and $250 for shipping. Assume that both tables would be coming from just about the same distance, and using the same shipper and shipping time. Just based on a quick gut reaction, which guy do you think you’d go with? I’m guessing guy A – the table is $900, and his shipping charge is $100. Was I right? If I was (and I bet I was) why was I right? Because you didn’t want to pay more for shipping – which you really feel little perceived value from. People don’t want to pay anything for shipping – or very little. How many times have you been tempted to buy a product because there was free, or cheap, shipping? That’s why you chose guy A, because you wanted to pay the least amount for shipping – even the total price you’d pay either guy would have been the same – $1000. The take-away here is don’t charge for actual shipping price (in most cases). Especially if you are making bigger pieces like a coffee table, or larger. Once you box or crate that puppy up, you’ll be charged by dimensional weight, used in shipping and freight, which is a billing technique which takes into account the length, width, and height of a package. Weight has little to do with it. Don’t believe me? Look up rates for a 40 pound package going from NY to LA, ground rate. Never mind I did it for you! A one foot square box would cost about $65; a box 43x33x23 would cost $281! So what to do then? Build the cost of the shipping in – at least in part. Guy A above has it about right, in my estimation, 10% of the price of the piece. It’s fuzzy math, to be sure, and other things must be taken into account – the cost of the piece, the size of it, actual shipping cost – but what you don’t want to do is scare off a customer to a sale because of a high shipping cost. People understand that for furniture, it’s going to cost some coin to ship it; but they will get turned off to the idea of buying from you if shipping – a low perceived value service – is too high. Final word – build in a large part of the shipping cost into the price of your work, and charge a lower shipping price. Agreed: it’s just good business sense.